A magnificent landmark, lavished with splendour and grandeur, Rajhans Ornate is an iconic concept that will give high-street retail to a whole new dimension. 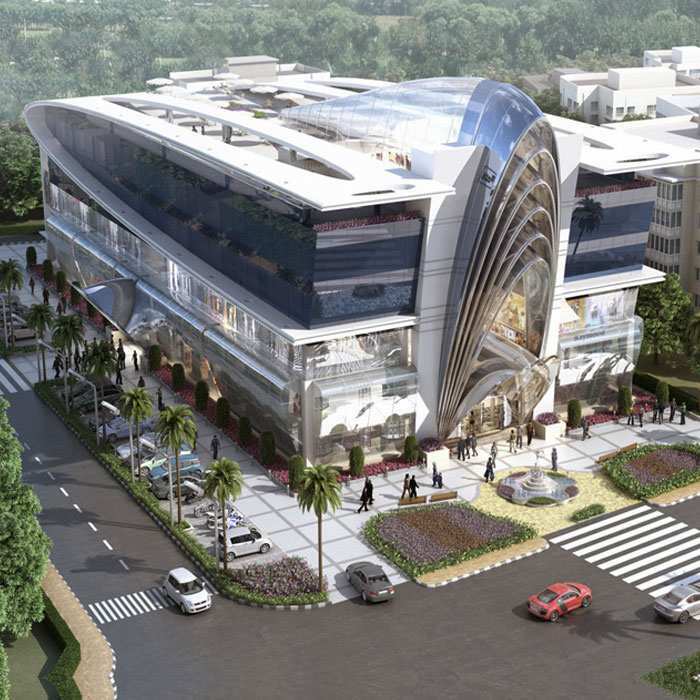 Elaborately designed and embellished with supreme luxury and conveniences, it is poised to be an epitome of a leisure and commercial space that will create a shopping experience that will be rich, unique and unparalleled. A tribute to the vibrant and ever progressive Gujarat, Rajhans Ornate aims to be the pride of place of City Light Junction- Surat's exclusive and most happening address. 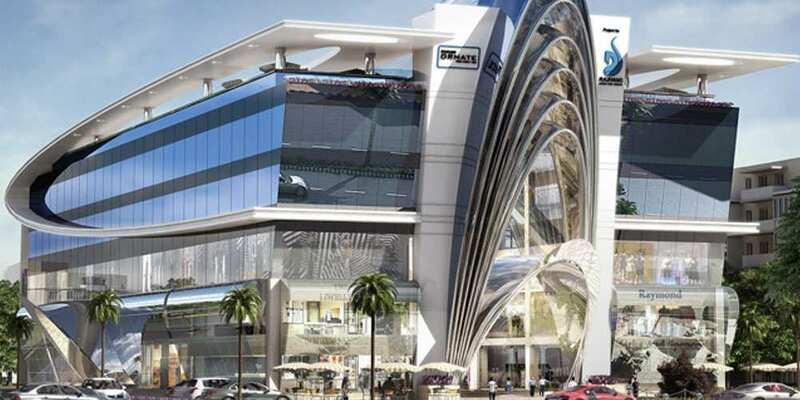 The impressive Central Atrium of Rajhans Ornate will spread over a lavish 3200 Sq.ft. serving as an anchoring point for all visitors this would lead to wide walkways and corridors connected by a series of modern escalators and elevators. The ambience accentuated by well designed atrium lighting, dark light mirror optical fixtures and energy efficient internal lighting, will create a memorable experience for visitors- one that will provide for a luxurious shopping environment and make them visit Rajhans Ornate over and again. Integrated Building Management System in Rajhans Ornate is designed to centralize building operations, including air-conditioning and fire alarm systems. Thoughtful amenities such as a public and fire alarm systems. Thoughtful amenities such as a public address system with speakers distributed across the entire building with announcement and paging facilities, manned reception & control desk ensure efficient visitor management and pleasurable experience. The Rajhans Ornate in its ground and first level will offer large spaces for Anchor stores to create an impression that lives up to their brand stature. Fully glazed elevation with large frontage will ensure optimum visibility by the day and night. Ideal for large format department stores, lifestyle, fashion, furniture and jewellery brands to flaunt their offerings. The upper levels are tailored to accommodate smaller shops and built-to-suit offices, while provision for a large garden restaurant at the terrace will complete the top of the world feeling. Two dedicated levels of basement parking will provide for the outmost convenience of mall visitors accommodating up to 200 cars and two wheelers. In addition to this a well paved slot parking around the entrance will create just the right mood to shop hassle free. The creation of a dedicated Driver's Area with a separate rest room facility further demonstrates our willingness to take care of the simplest of needs. Shopping at Rajhans Ornate will be a blissful experience thanks to its impregnable levels of advanced security. With intelligent CCTV Cameras manning common areas, boom barriers at all vehicle entries, metal detectors at visitorâ€™s entrances and round the clock manned security personnel visitors and businesses have nothing to worry about. - Provision of hose reels, wet risers, yard hydrants, fire extinguishers, sprinkler systems and sprinkler heads. - Air Conditioning system that include, energy efficient chillers, water cooled system, basement parking ventilation using centrifugal fans.